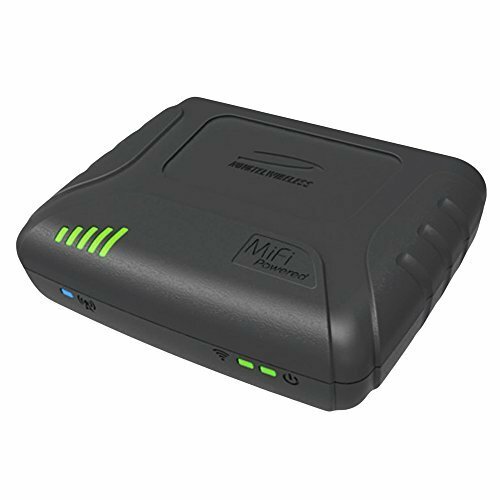 THE MIFI® POWEREDTM SA 2100: SMART. SIMPLE. SECURE. The only versatile and cost-effective M2M solution that incorporates the industry-leading MiFi® technology for a variety of fixed and mobile applications. The compact SA 2100 is designed with multiple mounting options and connectivity interfaces for M2M applications including Fixed Telemetry, Fleet Management and Asset Tracking, and Connected Car, right out of the box. Internal antennas minimize installation time and cost, while auto-switching between internal and external antennas provides options to ensure the best RF performance in any situation. With connectivity to 4G LTE and 3G networks, the SA 2100 provides the highest wireless data rates and the longest device service life. Now managers can upgrade firmware remotely, manage devices centrally and reduce the number of costly site visits, all while being assured that their solution will support carrier network updates for years to come. The rugged SA 2100 is designed to get connected easily and stay connected. The MiFi® PoweredTM platform offers unique features to ensure business continuity. Battery backup delivers instant failover during power outages. Advanced security of encryption and authentication protocols offers peace of mind. The extended operating temperature range makes the SA 2100 the reliable choice. Securely connect, collect and transmit valuable field data quickly and easily, just install and deploy  no complicated configurations or programming necessary. Designed with multiple interfaces, internal antennas, intuitive web UI, preconfigured default settings, and self-registration to the central management already enabled, the SA 2100 is built with Power it up, ready to connect in mind. If you have any questions about this product by Novatel, contact us by completing and submitting the form below. If you are looking for a specif part number, please include it with your message.